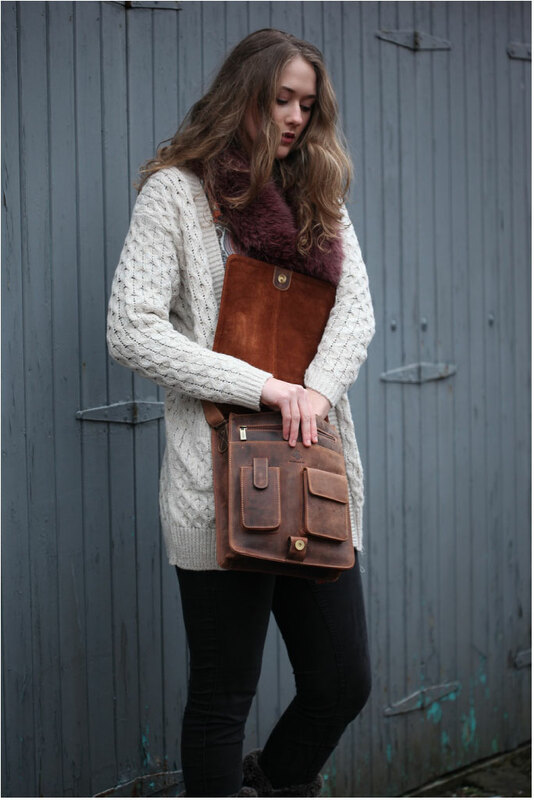 With a pocket for everything the “Jasper” is your perfect vintage cross body bag. : Measurements 30cm x 26 cm x 8cm. : Closes using a high quality magnetic catch. This product is manufactured from premium oiled leather. This leather has an aged appearance and will further age and take on a distressed look. No two oiled leather products will ever be the same shade or develop the same patina due to the natural properties inherent in natural leather. We like this. This bag does not need any type of protective treatment on arrival. Recieved my bag Tuesdayhaving ordered on Sunday. Easy to order and fast delivery. I love love love the bag. Its beautifully made and exactly what i wanted. This bag is truly gorgeous! I bought it for my husband half hoping he wouldn’t like it as I have fallen in love with it!! It looks amazing, a lovely size and super practical pockets, a real gem I know he will get years of use from! The delivery was super prompt and ordering very straight forward!! I got a birthday gift of this bag, and I absolutely love it. Smells and feels gorgeous, is very roomy and gets loads of compliments! Highly recommended. Best purchase ever. Been looking for this type of bag for quite awhile. Ordering etc quite easy. Well recommended. Top quality, excellent value and great service again.